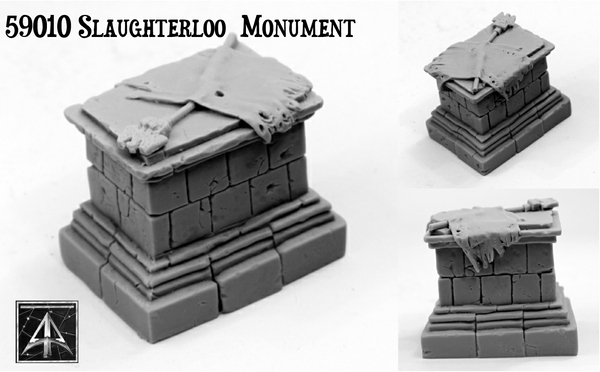 There are only a few days left to get yourself a free 59010 Slaughterloo Monument terrain piece in orders and to take advantage of our offers on a list of our most popular Elf, Orc and Dwarf codes. Offers end on 29th June 2015. 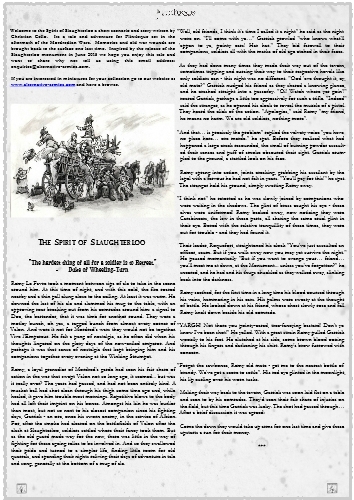 Inspired by the release of the Slaughterloo Monument, sculptor and all round top guy Christian Cello has penned a short tale and Flintloque scenario called 'The Spirit of Slaughterloo. It concerns former combatants in the Mordredian Wars being brought once more into the fray long after the wars have officially ended for one last crack at the Ferach Elves. Click through for all this and a download link for the PDF. 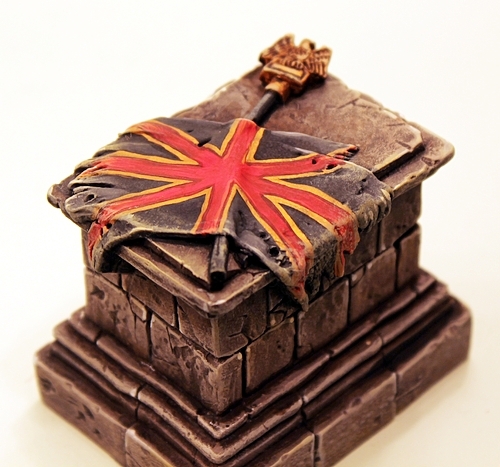 Free in orders and to mark the 200th anniversary this week the brand new 28mm scale resin 59010 Slaughterloo Monument. Its also now on general release. Plus we have offers and a raffle running until the 29th June. Fans of Flintloque and Slaughterloo now is the time for the summer campaign with 15% off a list of popular codes. Click through to read more and thanks for your custom as always. A month of zany and crazy new miniatures from Grinning Skull reaches the promised conclusion with the GRN25 Set Two which contains one of everything released in this second wave with a ten percent saving. There is also a first wave set with a similar saving. Well done to Will Grundy for proving that wargamers have a place in their hearts for a talented and original thinker and designer. Click through for more.